← What Is Gastric By-Pass Surgery Exactly? Today we celebrate the second Inauguration of President Barack Obama. This is a historic day for many reasons. One because we are celebrating the second Inauguration of our country’s first black president. Second, we are celebrating it on Martin Luther King Day, who led the civil rights movement that helped make Obama’s rise to the presidency possible. This is truly a day worth celebrating. But for me, January 21 will always be my father’s birthday. 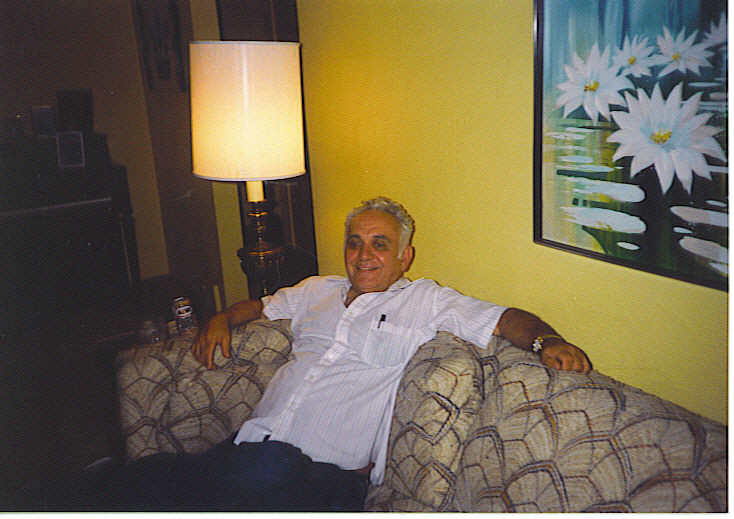 My father passed away in October 1996. Unfortunately, he never lived to see the election nor the re-election of our first black president. I think he would have liked to see that. He saw so many amazing historical events in his life. He was just five years old when WWII ended. He saw the beginning and end of the Vietnam war. He saw the election and assassination of JFK. The Civil Rights movement. Martin Luther King’s March on Washington. The resignation of Richard Nixon. The rise and fall of the Berlin Wall. The collapse of the Soviet Union. And the end of the Cold War. He also saw the explosion of technology; everything from transistor radios and microwaves to supercomputers and home PCs. He even had an email address before he died. He would call me from Pittsburgh to Maryland every single time he sent me an email, but he had an email address nonetheless. He was married, divorced, and married again. He owned his own business at one time. He witnessed the births of his four children and he watched them grow up. I sometimes think about all that he’s missed since he died. Monica Lewinsky. Clinton’s impeachment hearings. September 11. The wars in Iraq and Afghanistan. The election and re-election of Barack Obama. Laptops. iPods. Smart phones. Bloggers. Facebook. Me and my sisters receiving post-secondary degrees. My sisters’ and my brother’s marriages. The birth of his granddaughter. Some of it I’m glad he did not live to see. Some of it, I know he would not understand. But when something momentous happens, I wish he were here to celebrate with us. This entry was posted in election, facebook, fat, fat chick, gastric by-pass, health, inauguration, life, lifestyle, skinny, skinny girl, vote, voting, weight loss, weightloss, winter and tagged civil rights, death, election, fat, fat chick, father, inauguration, martin luther king day, mlk, skinny, skinny girl, vote, voting. Bookmark the permalink. Great picture of who will always be Uncle Jimmy to me!!! I had to chuckle when I read your reference to Monica Lewinsky — ooooooohhhhhh. . . I think he would have had fun with that one!!! Happy Birthday, Uncle Jimmy! He has the same birthday as my mom. 🙂 thanks for sharing your articles!